I was introduced to crypto currencies when the price was about 60 000 ZAR per Bitcoin. It has since gone up to close to 300 000 ZAR and then dropped again down to where it is today, 13 July 2018 at 22:30, at 86 400 ZAR. Quite a rollercoaster, but even the dips didn't put me off the idea that I could buy a special type of computer that could just sit in my office and generate money! DISCLAIMER: This article is provided as is and with no guarantees. Using the information is done at your own risk and neither the author or Namhost takes any responsibility for anything you do using this information. For the full disclaimer, please go here. I found a company who could provide a ready-to-use rig that could generate a decent amount of Bitcoin from day 1. It was also important that the company could help me if I get stuck. I.e. I need a team that can help via telephone or possibly even log into the rig remotely if I ran into any issues. My first mistake was thinking I was going to be mining Bitcoin. I was told that I won't necessarily be mining Bitcoin. There are many factors involved in deciding what to mine (which will be another blog post in itself), but at the time it boiled down to me mining Ethereum and that a 12-card mining rig would give me decent returns. I was told I can expect this 12-card mining rig to produce 8000 ZAR to 12 000 ZAR per month. I was impressed. That's the sort of income you can expect to earn from renting out an apartment valued at over 1.2 million ZAR. So for a fraction of the cost, you could get the same returns! Unfortunately, I didn't take all the factors into account and as you will see if you read on, the amount of profit you make depends on many factors. What was more frustrating to realise, was that you would most likely not get a monthly income. The profit you make depends on when you sell the currency you are mining. In hindsight it's pretty obvious, but it would most likely not make sense to sell your Ethereum once a month. It was recommened that I take the 12-card mining rig. Essentially this is just a motherboard with an on/off button and 12 Graphics Cards plugged into the motherboard. 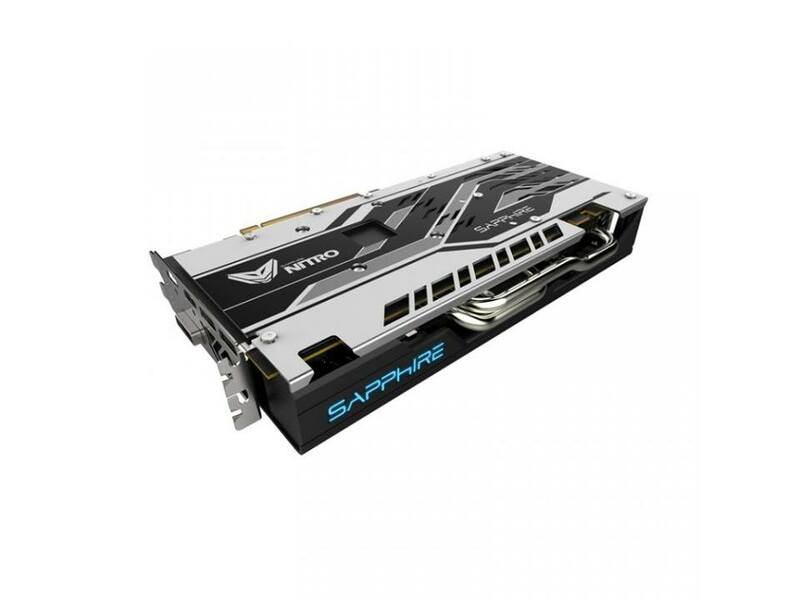 A flash disk powers the whole setup with software that instructs the Graphics Cards to do the actual mining. There is no screen, but you can control it from your desktop via simplemining.net, or if you really want to, plug in a screen and keyboard if you want to work directly with the command line console. You also need to plug in an ethernet cable with internet connectivity as you need to be connected to the internet to perform the actual mining. They retail for just over 5000 ZAR. For example, from here. 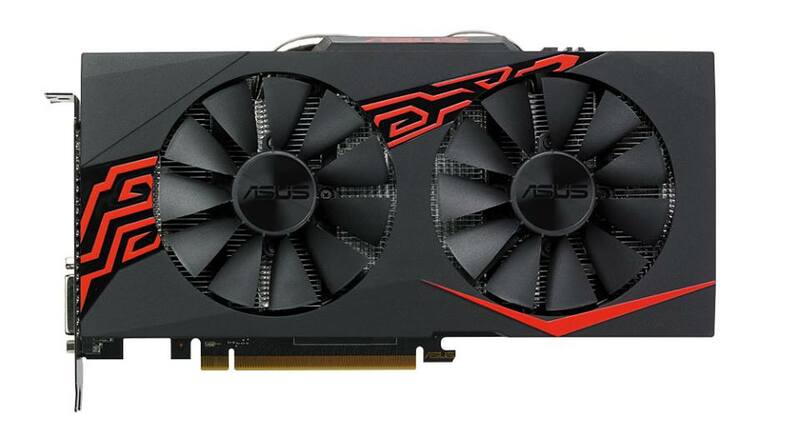 This card is a little different from a normal graphics card, because this one is specifically designed for mining. You will get better performance when you mine, but not as great performance when playing games. You can read more about this card here. They retail for about 6 000 ZAR. You can grab it from Takealot here. Pro Tip #1 A 12-card mining rig gets very hot (as in physically warm) and it makes everything around it very hot. I don't recommend keeping it next to you in an office or small room. I keep it far away and out of sight, which required me to lay down an extra ethernet cable. I am sure the setup can be configured to use wifi, but ethernet is a little more reliable and reliable is what you need when you mine. It might sound like it was complicated to get the rig going, but it really was easy to set up. I simply had to switch to my own simplemining.net account by editing a single text file on the flash disk that came with the rig. Once you plug the flash disk back into the rig and start it up, it will follow the config you configured on simplemining.net. From simplemining.net, you just tell it to mine whatever you want it to mine and you can even perform advanced actions like restarting the rig, overclocking the graphics cards etc. I managed to get it running by myself, but did ask for assistance when I wanted to try a few things, like switching to nicehash. But switching to nicehash proved less profitable than ETH mining, so I quickly switched back. Pro Tip #2: It's best to ask the guys who build the stuff what is best to mine at the moment. Depending on the hardware you buy and a variety of other factors, you might have more success mining other crypto currencies. Failing that, it's also not a bad idea to test different setups for at least a month at a time and then compare those results before deciding on a currency to mine. It took 11 days before I received my first payout. I received 0.2 ETH using an average hash rate of about 277 Mh/s. I did my first few calculations that day and realised that if I'm going to be making about 0.6 ETH per month, there is a good chance this is not going pay for itself in under 10 months as I had hoped. 5 months later while keeping the machine running non-stop, I can confidently say that it is still generating about 0.2 ETH every 11 days. So in 5 months that has left me with 2.6 ETH. At the current rate today, 13 July 22:30, at 6035 ZAR per ETH, I would get 2.6 x 6035 = 15 691.00 ZAR. This is extremely low. If this was to be sold when ETH was at it's peak rate, which was 15 552 ZAR on January 8, 2018, then the ETH would have sold for 2.6 x 15 552 = 40 435.20 ZAR. That's more than double what you would make now. This should demonstrate the first unknown when mining. You might be generating a decent amout of ETH, but the price people are willing to pay for it is still the final factor in deciding how much money you will make. This is quite a big gamble, because there is no way to tell if the price for ETH will go up to 15 000 ZAR again, or if it might even drop to lower than what it is now. So you constantly need to decide if you want to go long, or sell and cut your losses. This can be a tricky problem when you start looking at your expenses. Pro Tip #3 You can increase your hashing rate by overclocking your Graphics Cards, but this might mean that they don't last as long or that the resale value will take a knock. It's not uncommon to be asked if you overclocked your cards when selling them. The expenses include the cost of the rig, as well as the ongoing cost of electricity. You should not be paying more than 90 000 ZAR for such a setup. A really good price would be 80 000 ZAR or less, but the graphics cards would most likely not be new if you go below 80 000 ZAR. Pro Tip #4 You can buy a Kill-a-watt to measure the exact power consumption of the rig. This rig uses 1800 kw/H. A quick look at my electricity bill and I saw this roughly works out to about 1400 ZAR per month. So basically, i've spent 5 x 1400 = 7000 ZAR and acquired 2.6 ETH. Not including the 90 000 fee for the actual rig. If I had to sell today, I would make: 15 691.00 ZAR. Minus 7 000 for electricity, would leave me with a profit of 8 691 ZAR. I would have effectively made: 8691 / 5 = 1738.20 ZAR per month. At that rate, it would take me 90 000 / 1738.20 = 51 months, which is roughtly 4 years and 4 months, to make back the capital spent on buying the equipment. Many have cut their losses and gone for option a, while others, like me, have decided to sit it out and wait a bit. ETH was at 15 000 ZAR in January 2018. It fell down to a low of 4500 in the beginning of April 2018 and then had a high of 9100 at the end of April. It's really hard to say what is going to happen, but should the price go up, it could paint a very different picture for my mining efforts. Pro Tip #5 If you got into this to make a quick buck, then mining is probably not for you. It's high risk with the potential of high returns. What if ETH goes up to 9100 again, making the total profit = 23 660 ZAR minus 7000 ZAR for electricity, which would leave me with 16 660 ZAR, which is about 3300 ZAR per month. At that rate it would take me 28 months to pay off the equipment. 15 months is a whole lot better than 51 months, but it's still not quite as impressive as it was for the miners who cashed in their ETH for ZAR in January when the rate was 15 500 ZAR per ETH. If ETH should go up to the 15 500 ZAR, as it was at it's peak in January, the total profit would be = 40 300 ZAR minus 7000 ZAR for electricity which would leave me with 33 300 ZAR which is about 6660 ZAR per month. At that rate it would take me 14 months to pay off the equipment, after which I would then technically be making a profit of 6660 ZAR per month. That said, even if you take the highest possible value that ETH was selling at, you can still only make 6660 ZAR per month. I don't know how anyone could possibly have been making more than 6660. Perhaps overclocking? Or perhaps it was easier to mine last year this time? So far I've generated 0.2 ETH every 11 days consistently, so it doesn't seem like mining is getting harder or earnings are becoming lower. Pro Tip #6 Asking the company you buy gear from for what "typical turnover" is expected, will probably not get you the answer you are looking for. Ask them specifically how much ETH the rig you want to buy will earn in a month. Then also tell them that you want a guarantee that if you don't generate that much, that you can get a full refund. If they can't tell you the exact amount it generates, then do not buy it. A company that knows their stuff will know how much their gear generates and an ethical company will not give you incorrect or outdated stats to sway you into buying gear that might not give you the return you expect. Crypto mining is a game with a lot of variables to consider and while I enjoyed learning about mining in this hands-on fashion, I would not advise others to get into mining in the current climate. Truth be told, nowadays it's simply not as profitable as it used to be. With the continued uncertain future of crypto currencies, it's difficult to tell if mining will become as profitable again in the future. The main factor right now is simply the low price of ETH. A decent increase in price could mean that mining again becomes profitable, but it is very difficult to say if we will ever see the price of ETH or BTC rise to levels reached last year. I am going long, and holding onto my ETH and hoping the price will increase, but there is a good chance I will sell the moment I can get a decent price. Pro Tip #7 Never gamble with money you are not willing to lose. At this stage, mining crypto currency is a huge gamble due to the many uncertainties. Do not spend money on mining if you are not 100% okay with the possibility that you may never see that money again. Are there exceptions to the rule? When is it a good time to get into mining? 3. If you believe firmly that the price of ETH or BTC will go up and want another method by which to expand your crypto reach. In short, it's not worth pursuing unless you really know what you are doing. #Pro Tip 8 If you are eager to get involed with Bitcoin, it might be better to buy a few bitcoins from Luno, rather than investing in mining. You could probably see better returns and you'll essentially be doing the same thing as miners are currently doing, which is to sit and wait for the price of Bitcoin and Ehtereum to go up. Much can still change in the crypto game. It is a very exciting field and one that is sure to influence all our lives! Hopefully mining will also find its place and one day again become a reliable income stream for dedicated crypto enthusiasts. Unfortunately, at the moment there is too much risk for it to be considered a reliable income stream. If you can offset monthly expenses or initial setup costs, then it can become profitable, but most likely in the long term only. Be aware of this and you should be able to do the maths and make an informed decision on whether mining could be for you. If you are making payments with Bitcoin, we highly recommend being aware of the legal aspacts of paying with Bitcoin. Leave a message below if you have any questions or comments. We would love to hear from you!